Magnetic tape is arguably our most versatile product as it’s great for not only holding other magnets but for creating magnets. For interior designers, the applications are practically endless, empowering you to create magnetic spice racks, magnetic labels and even wall mounted magnetic chess sets! The most common use of our magnetic tape is within the retail display industry. The tape is often applied to posters and other non-magnetic graphics and then attached to a receptive surface, either steel or a purpose installed receptive sheet. Alternatively, retailers apply polarity A tape to the display and polarity B tape to the desired surface and can match up the poles, holding poster or graphic to the surface. Our premium adhesive tape is most popular for this. We’ve found our tape to be popular with window installers. When used in conjunction with steel tape, the products are the perfect combination for installing secondary glazing. The extra give on our foam magnetic tape is ideal for the potentially uneven wooden window frames. 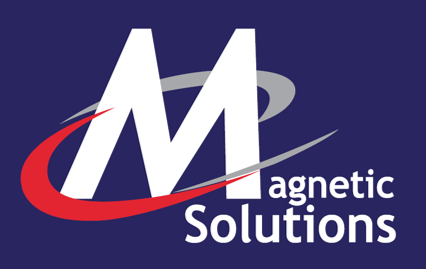 Magnetic tape is a product that not many people are aware of, aside from printers, retailers and some shop fitters. This is a shame because magnetic tape is actually very, very useful (yes, emphasis on the very). This is because it can help you with tonnes mini DIY projects and turn them into useful products. Since our magnetic tape and its uses are so versatile, the possibilities are simply endless. Here we have for you some of our best ideas that you can create with your very own magnetic tape. You can start off by using your magnetic tape to help you organise your work and your life. Create a magnetic “To Do List” board that you can stick across your bed and look at it as soon as you wake up in the morning or in the office, right next to your desk. To create this, you can just take an erasable board and use the magnetic tape and stick it at the back. Now in order to mount it up on your wall, you can choose from two poles: A or B but make sure that the pole at the back of your board is opposite to the one that you stick up on the wall. This is important so that the opposite poles can attract and stick to each other on the wall. Another idea, although a pretty common one, is to turn your treasured into magnets. You can create motivational feel good messages or make reminders and stick them on your fridge. Now if pictures aren’t your thing and you’re more into décor, then you can actually create beautiful patterns and a unique design by turning bottle caps into magnets. With the right eye, they make for a wonderful aesthetically pleasing design. As you can gather sticky magnetic strips are an incredibly useful tool and can be used in DIY projects, in the office or even in large retailers.